For the beginner or entusiast looking to expand their range and tone. 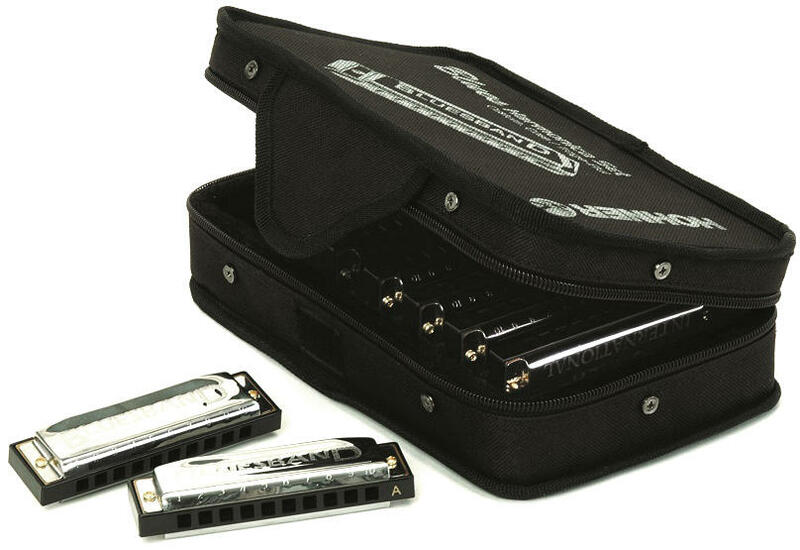 This fantastic holiday pack features a set of seven Blues Band harmonicas (in the keys of A, Bb, C, D, E, F and G) presented in a FREE deluxe carrying case. Manufactured by repitable brand name Hohner this 7 harmonica set all you need to start taking your playing to a different level. Experience different keys and the tones they provide. There is more than just 'C' you know?